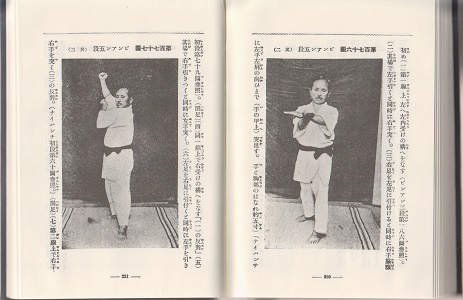 held it in hands: a 1st edition (1925) of Funakoshi’s Rentan Goshin Karatejutsu. 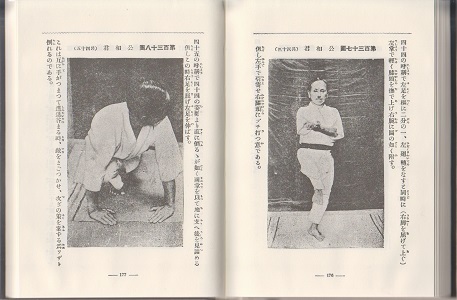 As regards contents this work basically includes the same informations as Ryukyu Kenpo Karate (1922), but the sketches manufactured by Kosugi Hoan’s student Yamashiro Masatsuna had been replaced by more than 217 photographs taken of Funakoshi himself performing Kata etc. It also contains the calligraphies and historical photos. As such it must be regarded the revision, enhancement, and completion of its 1922 precursor. 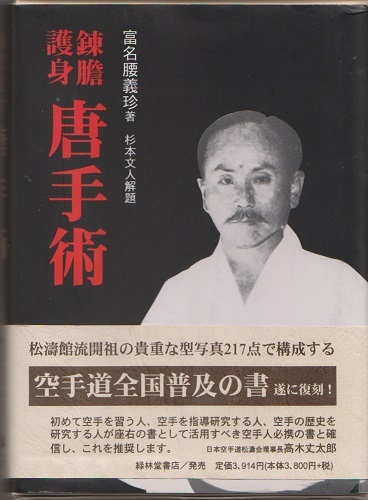 Rentan Goshin Karatejutsu had been reprinted by Yōjusha in 1996, but this edition is out of print, too. The edition I received had a library name indicated on the inside of the cover, slight stains on the inside and outside of the book spine. 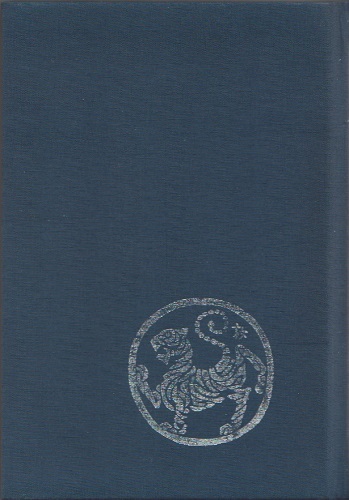 The slipcase had some slight stains, too, as well as slight bruises on the edges. Overall and for its age it was quite well preserved, thanks to the slipcase. 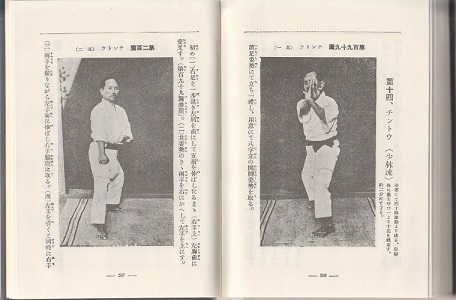 The book preserved the Shotokan founder’s precious techniques and Kata in 217 photographs, the largest part of which showing Funakoshi performing Kata. 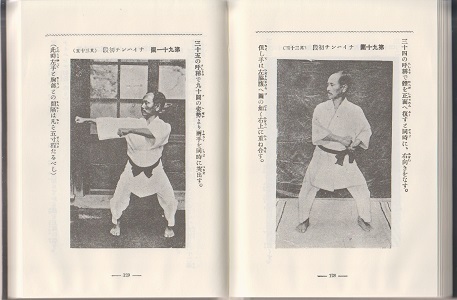 In this way this book served the countrywide popularization of Karate in Japan. 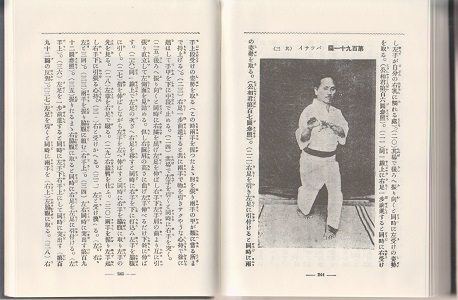 It contains two group photos, four calligraphies, as well as two photos of Funakoshi. The first part of the book contains a general introduction on history, styles, and etiquette. 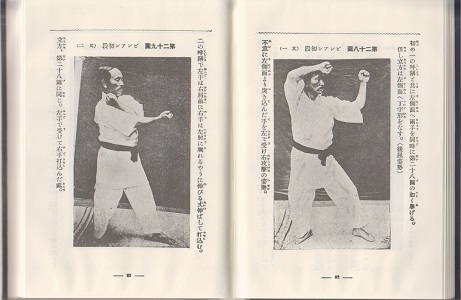 The second part, called “The System of Karate” contains descriptions and photos of how to make a fist, hand techniques, stances, and Makiwara, followed by foot techniques, Enbusen, and six throwing techniques (Nage-waza). 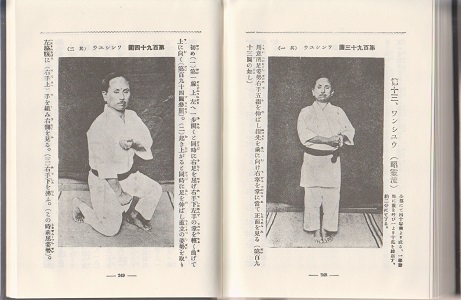 The third part, called “The Fundaments and Kata of Karate,” constituting the main part of this work, contains the full descriptions and photographic documentation of the Kata. 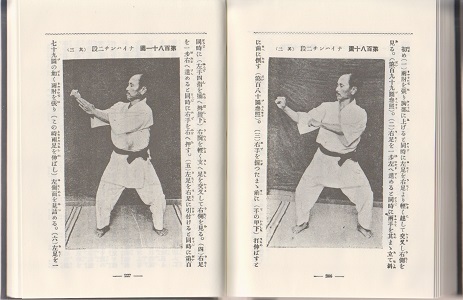 The names of the Kata at this Point in time were still the old Okinawan style names: Pinan Shodan, Naihanchi Shodan, and Kūsankū are shown in their entirety. 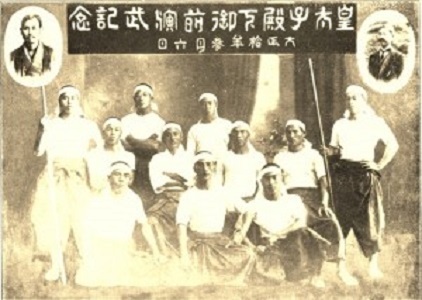 This is followed by the main points shown for the Kata Pinan Nidan to Pinan Godan, Naihanchi Nidan and Naihanchi Sandan, Sēshan, Passai, Wanshū, Chintō, Jitte, and Jion. 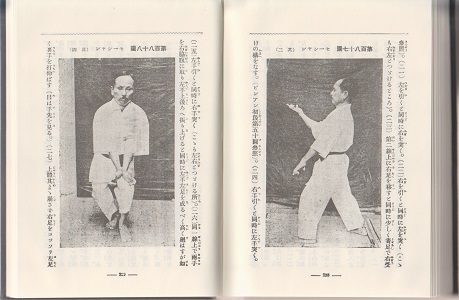 The forth part, called “Karate Research Gossip,” has some interesting articles trying to explain the development of Karate as an empty handed art during the kingdom era and others. 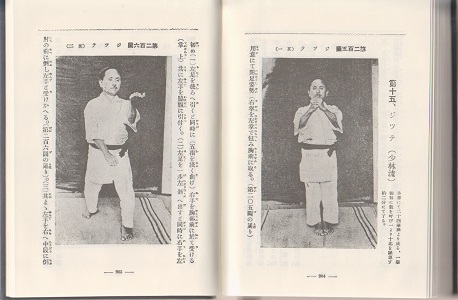 The following pictures are taken from the 1996 Yōjusha re-issue. 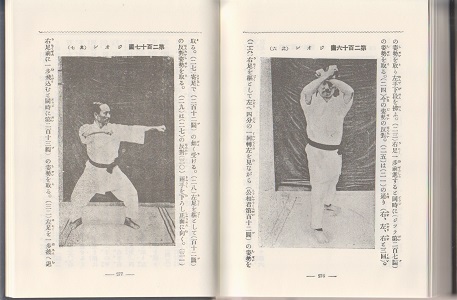 This entry was posted in Book Reviews and tagged 1922, 1925, Funakoshi Gichin, Kosugi Hoan, Rentan Goshin Karatejutsu, Ryukyu Kenpo Karate. Bookmark the permalink.